Semiconductor manufacturers are always looking for an edge to improve operating efficiency and to increase yields on chip lots. For some, the answers include big data analytics, as well as technology to move that data around more quickly. 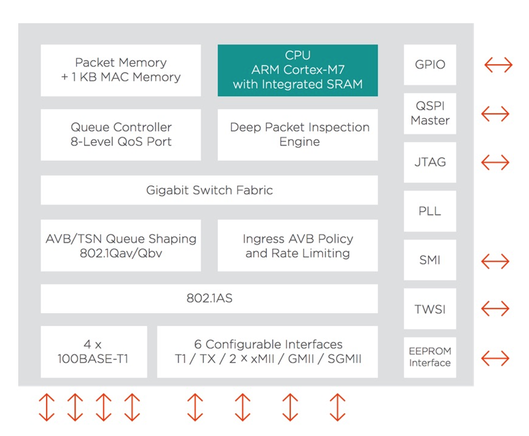 Chipmakers, board assemblers, and related businesses are turning to the Internet of Things, especially Industrial IoT technology, to reduce defects and grow their bottom lines. They also are utilizing artificial intelligence and predictive maintenance on factory floors. This may seem like an obvious next step, but the impact is farther reaching than collecting and analyzing data would seem to indicate. By figuring out what goes wrong and being able to actually trace that back to the source of the problem, efficiency can improve by double digits in operations that are already considered highly efficient. Moreover, it can be used to help reshape manufacturing processes and flows, breaking down barriers and silos that made sense in the past but have since become a hindrance. Many companies are reaching the same conclusions. Data is at the center of a push toward smart manufacturing (also known as Industry 4.0 in Germany). Sharing data across these operations is easier said than done, however. Wayne Allan, Micron’s senior vice president of global manufacturing, noted his company has 13 plants around the world, with about 20,000 employees. In 2013, Micron started aggregating data from production tools and sensors into a central database. Acoustic technology was applied to process chambers to diagnose equipment conditions. Vibration data and visual detection are also vital. He noted that Micron has implemented advanced analytics and visualization in employing data from the wafer fabrication facilities. 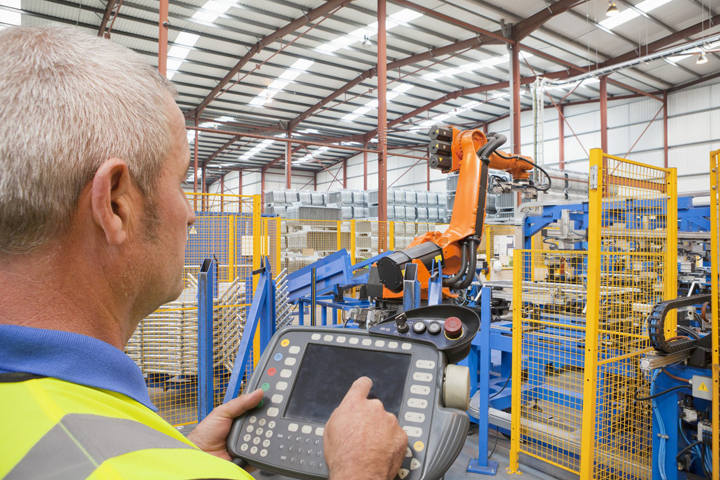 Machine learning technology can respond with predictive maintenance before a tool goes down. The company has had a data science team since 2013, helping drive a 10% improvement in throughput and a faster yield maturity by 25% over three years. Tim Long, Micron’s director of enterprise data science, said the chip company has installed about 250 nodes in its manufacturing sites and has collected 13 petabytes of data in massively parallel processing data warehouses, using Structured Query Language (SQL) technology. “We like to democratize data,” he added, while always accounting for proper cybersecurity. Equipment vendors are helping to facilitate this data gathering. Tim Archer, Lam Research‘s chief operating officer, said it was “an exciting time to be in etch and deposition,” with the big density increase in memory chips. In addition to predictive maintenance, he noted that Lam is working on self-maintaining tools, using robotics inside the system to order a new part and install it. Maciej Kranz, vice president of strategic innovations at Cisco Systems, said his company has been focused on manufacturing and IoT for the last decade. “We see four broad sets of big use cases in manufacturing,” he noted. One is connecting all operations. Remote monitoring of operations is a cost-saving opportunity. Predictive maintenance is another valuable asset. That will generate enormous amounts of data. Gian Yi-Hsen, regional president of the Americas for the Singapore Economic Development Board, said the city-state has been pursuing manufacturing development for five decades. “Electronics is a big portion of that,” he noted, estimating that 10% of all chips are fabricated in Singapore. Manpower, the technical talent to run all those factories and fabs in Singapore, is a constant issue for the country. Utilizing data is only part of the challenge inside of manufacturing organizations, though. It’s also about sharing that data, and that requires an understanding of what is required to handle the growing volumes of ones and zeroes. For most semiconductor manufacturing operations, this is very manageable with equipment that is found in enterprise data centers, rather than the giant cloud operations of a Google, Facebook or Amazon or even manufacturing-specific devices. The entire electronics industry is looking at how to gather, move and utilize data. It’s also one of the key elements in improving efficiency further up the food chain. So while yield may be high for individual components, there are huge opportunities for utilizing data in the future for other aspects of manufacturing. But the opportunity for improving efficiency is enormous by anyone’s calculation, which is why there is so much focus on smart manufacturing. —Gale Morrison contributed to this report. Optimal Plus’ CTO looks at how data can be deployed to improve quality and yield, and to find out what went wrong.